National Day in Mauritius annually falls on March 12. It celebrates the day, when the country gained independence from the United Kingdom in 1968 and the Republic of Mauritius was formed in 1992. Mauritius became a British colony in 1810. Under its administration Mauritius saw a rapid social and economic changes, for instance, slavery was abolished in 1835, which led to a large number of indentured laborers from India, who worked in sugar cane fields. Another major event in the British history of Mauritius is abolishing of the color bar in 1828. However, the colored persons were not appointed by the British government as leading officials, till Rémy Ollier, a brilliant journalist of mixed origin, petitioned to Queen Victoria that coloreds also could become the members of the government, which happened a few years later. 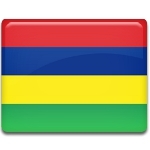 Mauritius gained independence from Britain on March 12, 1968. A new constitution was adopted and the first prime minister appointed (however, Queen Elizabeth II remained the head of the state). Another major event in the history of Mauritius occurred on March 12, 1992, when the country was proclaimed a republic within the British Commonwealth. Sir Veerasamy Ringadoo became the first president of the Republic of Mauritius.